On Monday, 15 February, the CODAC team released the Plant Control Design Handbook and a first version of CODAC Core System. The ITER machine is not just millions of nuts and millions of bolts. It's an integrated system that will use thousands of industrial computers to process and distribute hundreds of thousands of signals. Sensors will send messages to computers; computers will calculate, combine data and issue demand to switches, valves and other actuators in different systems; other sensors will check whether the operation has been properly performed ... and this will be repeated several thousand times per second. "This can only work if all parts of the machine—what we call 'plant systems'—speak the same language," says CODAC Section Leader Anders Wallander. CODAC, which stands for Control, Data Access and Communication, is the "system of systems" that will make sure the ITER machine doesn't turn into a Tower of Babel. For the various plant systems to be fluent in the common language of the ITER machine, teaching has to start early. "It is very important," says Anders, "to establish the language standard before plant systems are developed in all seven ITER members. Standardizing will make everything easier for everyone." In order to avoid the use of "local languages" and the confusion that would result, every Procurement Arrangement going from the ITER Organization to a Domestic Agency is accompanied by a "dictionary"—a documentation package called the Plant Control Design Handbook (PCDH) whose 2010 edition was released last week. "PCDH," says Anders, "is based on the most widely used industry standards, norms and products, and on the 'best practices' implemented in large facilities worldwide." Industrialists will use CODAC Core System to build particular applications; the software will guarantee the common language. For instance, the industrialist who will produce a component for ITER will find in PCDH the brand and type of the calculator (e.g., a programmable logic controller) he's supposed to include in the product he delivers. He will also find guidelines that, once applied, will let the ITER Organization know what steps have been taken in the manufacturing process of the component. "It is essential for us that the industry follows these documents," says Anders. "Knowing precisely what's inside the box will make integration and maintenance much easier and more efficient. In the end standards and common languages all come down to reducing the cost." 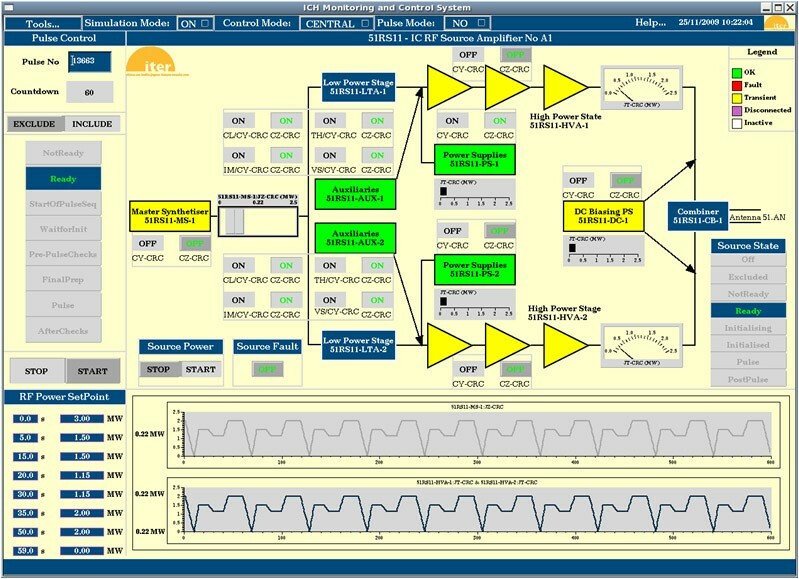 In addition to publishing the 2010 edition of the PCDH, the CODAC team released the first version of a software package called CODAC Core System. "If you consider PCDH as the dictionary of the ITER language, then you could say the CODAC Core System is like the teacher that takes you through the learning process. Industrialists will use it to build particular applications and the software will guarantee the common language." ITER being an experimental facility, it is likely that at an early stage operators will want to explore the machine's potential and increase its performance. A common language, shared by all plant systems, will make the requested changes easier—and cheaper—to implement.